A leading company in the outdoor sector cannot ignore a strong commitment to protecting the environment. And La Sportiva plays its part in this, too. 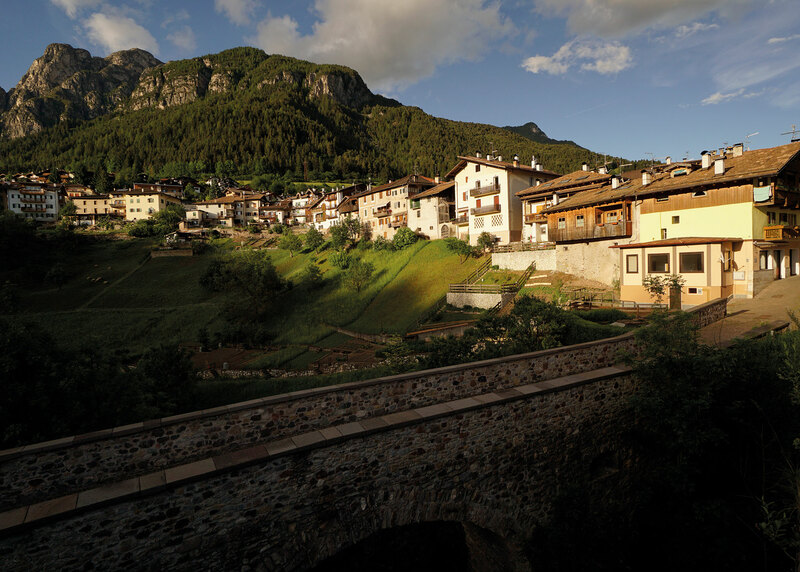 Since 1928 La Sportiva has had its headquarters in Val di Fiemme, in the Dolomites which were declared a UNESCO World Heritage Site in 2009. Such a location carries with it a special social and environmental responsibility, strongly felt within the company and by the Delladio family. Research, processes and methods of work constantly keep development and the continuous evolution of the products, at the centre of attention, as well as the relationship of the firm and its production units with the environment. From its conception and initial design, a sustainable and eco-compatible approach is continuously applied up until the final creation of the finished product. La Sportiva pays maximum attention in respecting the environment and puts in place all solutions and possible measures to reduce CO2 emissions and waste of raw material. From 2003 the system of environmental certification ISO 14001 was introduced allowing the monitoring of every environmental aspect linked to the industrial activities of the firm by 100 per cent: from the production of the headquarters in Ziano di Fiemme to the subcontractors or suppliers of raw and partially worked materials. The certification system self-imposes the search for continuous improvement, also in the environmental field which has brought us to adopt solutions like the use of carbon active aspiration plants, experimentation of glues with a water base and the recovery of more than 50% of the waste material derived from production. Since 2011 La Sportiva, aware of the dangerous link between fluorine and carbon which are at the origin of the PFC combination, has assumed the duty not only to avoid material and fabrics which do not contain PFOA (perfluorootcanoic acid), but to completely eliminate from their own clothes collections any fabrics, treatments and materials containing PFC, under any form. In 2013 PFOA was inserted by Greenpeace and the European Regulation REACH in the list of substances dangerous to man and the environment. Since January 2012 when La Sportiva entered the fabric and technical clothing sector they have adopted a procedure to certify the production line of textiles according to the criteria of sustainability recognised at international level and approved by the Bluesign® System. The application of the Bluesign® system means not only that the textile products are made to a safety standard recognised at world level, eliminating all harmful and toxic substance from the raw materials onwards, but also the production process follows certified environmental and safety standards. Since the 2014/15 season the company has been presenting in their collection the first entirely Bluesign®, products. In particular all the base-layer seamless items of the apparel collection, recognisable by their Bluesign Product label. One of their next objectives, in years to come, is the certification of the whole production line. In 2013 the company started a partnership with the European Outdoor Conservation Association, a non-profit organisation whose objective is to support charitable initiatives concerned with environmental conservation. EOCA is more and more active and present in Europe thanks to numerous pro-environment projects financed through the raising of funds made possible by the firms in partnership who belong to the Outdoor sector. Up to now 109 firms belong to the association and through a desk of experts nominated by EOCA they evaluate and finance the environmental projects most worthy of support. The commitment of the group of firms belonging to EOCA including La Sportiva, proposes the objective of conserving, restoring or defending uncontaminated wild areas in favour of future generations and for those in the future who will be passionate about activities in the natural environment. 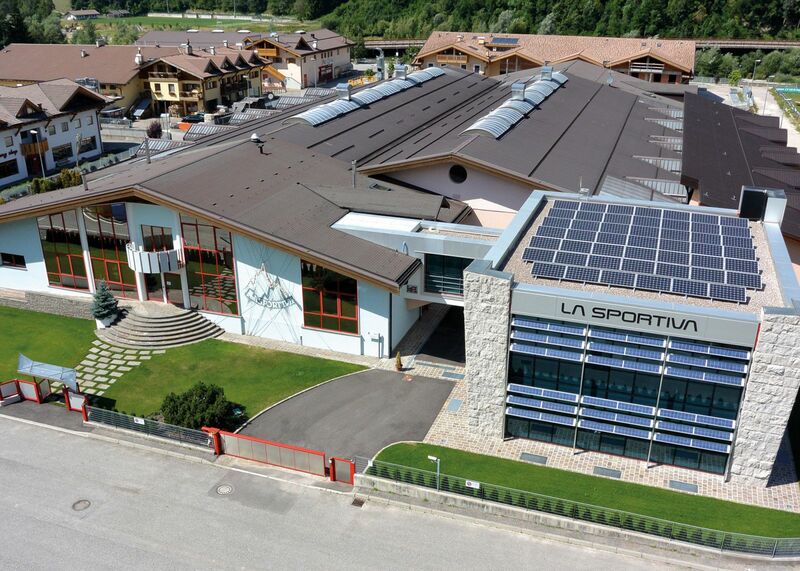 The La Sportiva shoe factory produces in Val di Fiemme over 220,000 pairs of shoes a year. Since 1928 to today, other than a continuous increase in quantity, the work processes have become always more sophisticated and as a result the variety of the product and materials used has increased. The use of raw materials has been rationalised and made more efficient and the waste material from production has first of all started to be reduced and then reutilised also for use outwith the production cycle of footwear. In making mountain footwear and climbing shoes a percentage of material leaving the cutting benches represents waste material. Rubber, for example, used for soles and midsoles, reaches the La Sportiva factory from external suppliers in the form of sheets of different thicknesses which are cut and shaped according to the shoes being made. After the soles have been cut the remaining rubber cannot be reutilised in other production processes and therefore becomes waste material. Rubber is a complex material, chemically obtained from substances called elastomers mixed together to obtain different grades of elasticity, grip and hardness: such complexity does not facilitate the disposal of materials in the standard production process. Thanks to the collaboration with the company Prismi SRL of Monteprandone in Ascoli Piceno, specialising in producing granules and powder from the rubber of technical waste, it has been possible to reutilise the production waste material of our firm for the making of sports and anti-trauma floors with high impact absorption where rubber, in all its forms, represents the primary and fundamental ingredient which is then chemically processed to obtain the finished product. Our partner company, as well as supplying the service of recycling, is able to furnish the traceability of the waste material supplied and it is therefore possible to know in which finished product the waste material has been recycled. The rubber waste of the La Sportiva has recently been used in the flooring of the playground of a primary school in Alassio (Savona) and in the making of the artificial grass turf for the sports centre ‘La Meridiana’ of Catania. Transforming waste into a raw material does not only refer to rubber. La Sportiva, in fact, put in place a collaboration with the Social Cooperative Samuele, which helps people in need to enter the labour force through specific training programmes and ad-hoc labs. La Sportiva supplies waste leather stemming from the shoe production process and the Cooperative reworks them crafting bags, key rings and other objects, which is also sold inside the La Sportiva flagship stores. To innovate with passion - La Sportiva’s motto - still has the same meaning today.